This is a guest post by Ashley McCann. The sky's the limit when it comes to planning a party for the first baby to enter a family, but subsequent showers are still newer territory. Often called a “sprinkle” to denote a lighter shower of helpful gifts, this form of festivity is more about celebrating mama and baby-to-be than furnishing a nursery with necessities. Here are three sweet sprinkle-friendly theme ideas to help get the party started. Take the term literally with a rain shower-themed sprinkle! 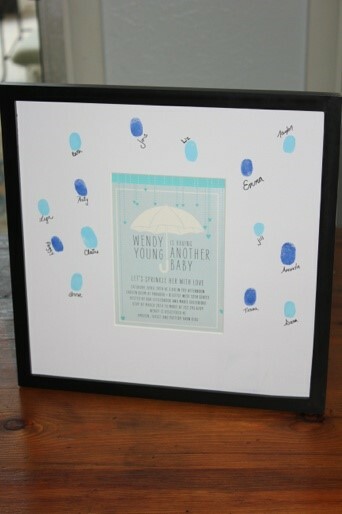 Rain is a symbol of spring and brings forth new life, making it perfect for a baby shower theme. 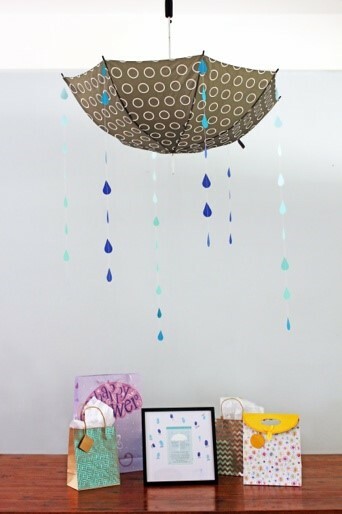 An upside-down umbrella adorned with garlands of paper raindrops makes an interesting (and inexpensive) gift table focal point. Use your invitations for inspiration by transforming an umbrella-themed invite into a fingerprint guest "book." 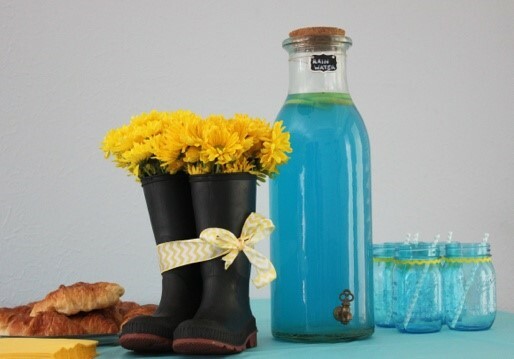 Rinse off your rain boots and fill them with flowers for a fun and festive table decoration. 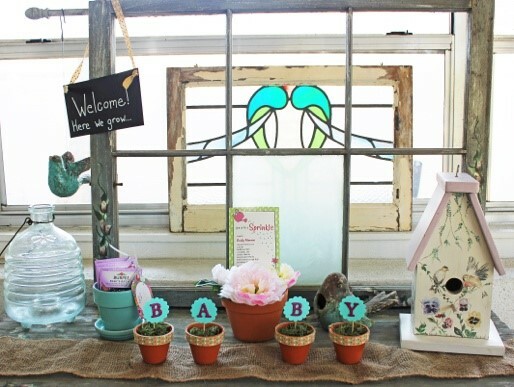 Celebrate new growth and the blossoming baby with a garden-themed sprinkle! Get resourceful and raid your gardening supplies for unique ideas for this floral affair. An old garden cart can be transformed into a welcoming tableau to help set the tone. Nestle the invitation into a floral centerpiece to personalize the scene and use tiny terracotta pots, floral foam, toothpicks, and sticker letters to spell out a message. 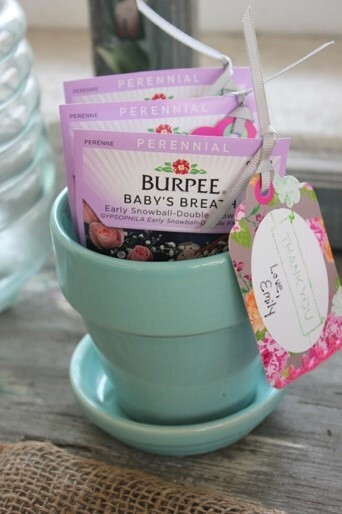 Baby’s Breath seed packets personalized with a gift tag are an easy, affordable, and adorable party favor. 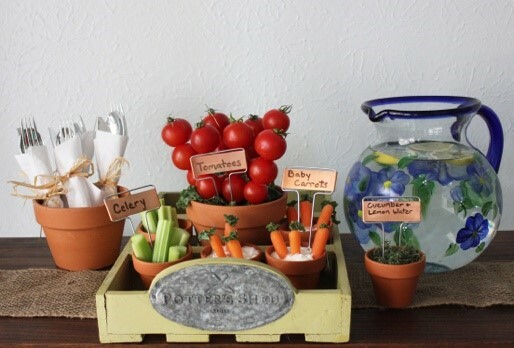 Reinvent the traditional party veggie platter by serving up the harvest in terracotta pots. Line the inside of the pots with parchment paper or foil to prevent moisture from seeping through and utilize plant markers to label the offerings. Silverware roll-ups wrapped in raffia is a convenient way to keep cutlery together while contributing to the detailed decor. Get playful and colorful with a sprinkles-themed sprinkle! Bring back the childhood nostalgia of beloved treats by creating a party around the multi-colored topping that has made a sweet name for itself. 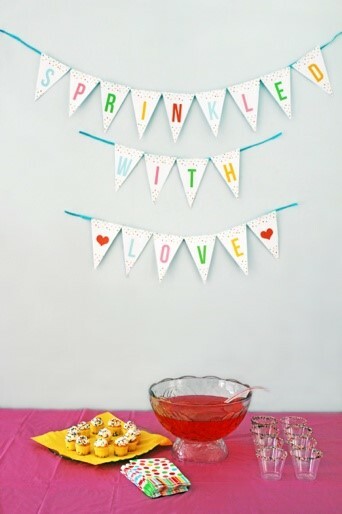 A printable banner provides whimsical wall art, while polka dots, confetti, and gumballs can help fill in the party-planning blanks. Run a lemon slice around drink cups and roll the edge in sprinkles to add some pizzazz to your punch. And place sprinkled cupcakes on a platter to provide both food and themed decor. Add some tasty entertainment in lieu of games with a cookie-decorating bar. 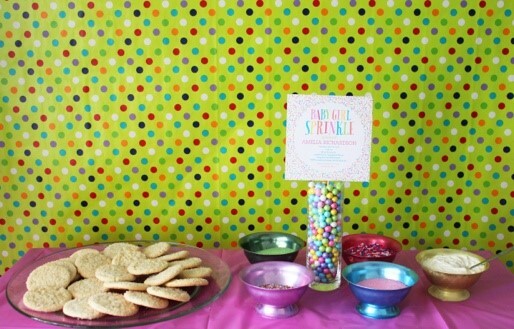 Polka dotted wrapping paper provides a fun backdrop, while a glass vase filled with colorful candy balls and a sprinkle-themed invitation takes center stage. Continue your sweet theme with a pretty thank you favor. 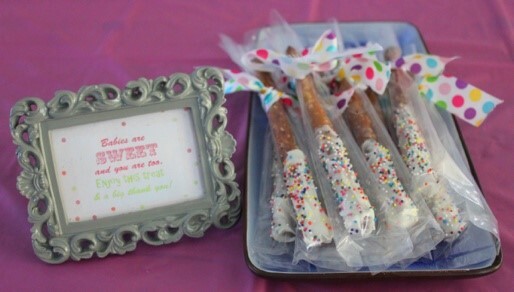 Dip pretzel rods into melted chocolate, dot with sprinkles, and wrap in cellophane with a ribbon for a simple parting gift. Although sprinkle showers are supposed to be a “lite” version of a traditional baby shower, that doesn't mean you have to skimp on party planning! Every baby deserves to be celebrated and a festive gathering is a wonderful welcome to the world for baby and a beautiful memory for mom. 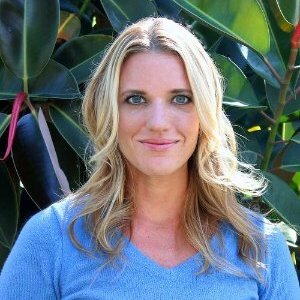 Ashley McCann is the Floridian mother behind the blog, Ashley Quite Frankly. She spends most of her time playing with her two boys, being a yogi and doing other activities that don’t require shoes. Ashley also writes for Tiny Prints, her first choice when it comes to invitations for baby showers (here) and beyond.